This D-Carabiner with light is made from stainless steel. 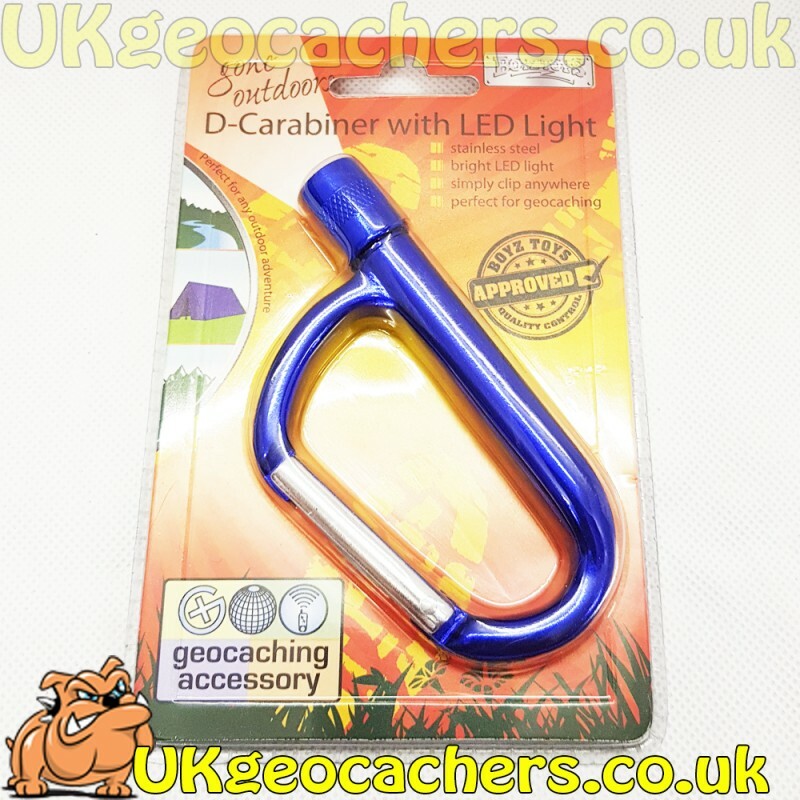 It has a bright LED light which makes it a great addition to your geocaching pack, glove box or even your pocket. The clip makes it easy to place where you can get to it easily.